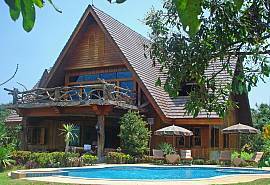 There are many ‘must do’ things in Chiang Mai. 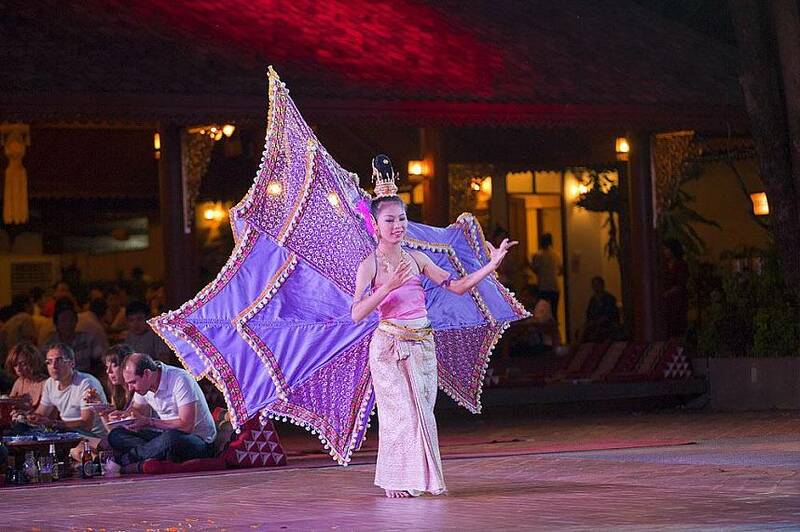 One of the best and most authentic Thailand experiences is the Khantoke Dinner and Show at the Old Chiang Mai Cultural Center. If you want that authentic Northern Thai atmosphere and a deeper understanding of Chiang Mai culture, the Khantoke Dinner is the perfect introduction. 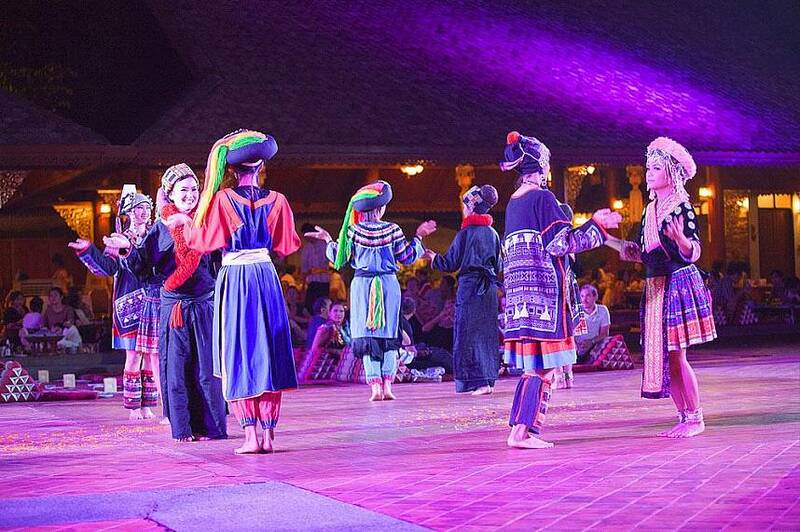 This traditional dinner and show became a social gathering in 1953, bonding together the best of the region’s cuisine, cultural and traditional dance shows. These elements complement each other in such a compulsive way that you must enjoy this experience when visiting Chiang Mai. 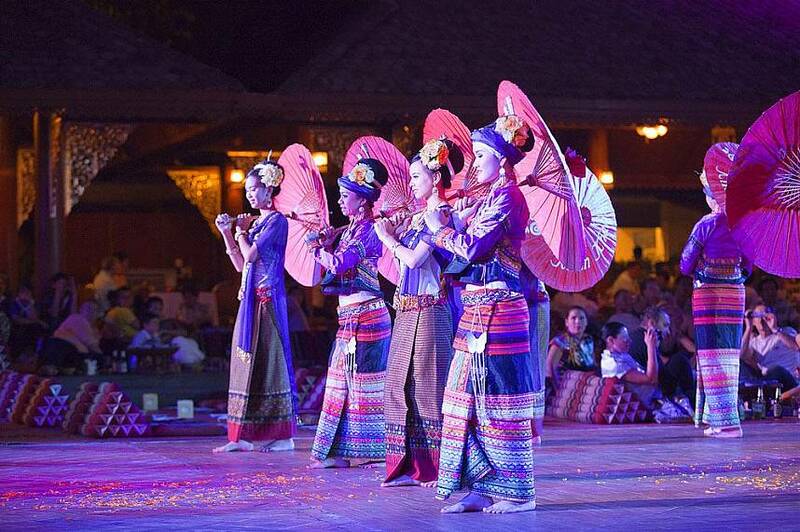 As a party of 5 friends, we were recommended to visit the Old Chiang Mai Cultural Center for the Khantoke Dinner and Show, which was one of our most memorable Chiang Mai experiences. When first stepping foot in the venue, we were overwhelmed with the deep red carpets everywhere. The Khantoke Dinner is mainly a seat on the floor event, although the venue does also cater for those who want a standard table and chairs affair. We sat down crossed legged at our table to experience the meal as intended – on the floor. As part of the entry fee, all the food and the shows are included, although you will have to pay extra for drinks, of which they sell soft drinks and alcoholic beverages. 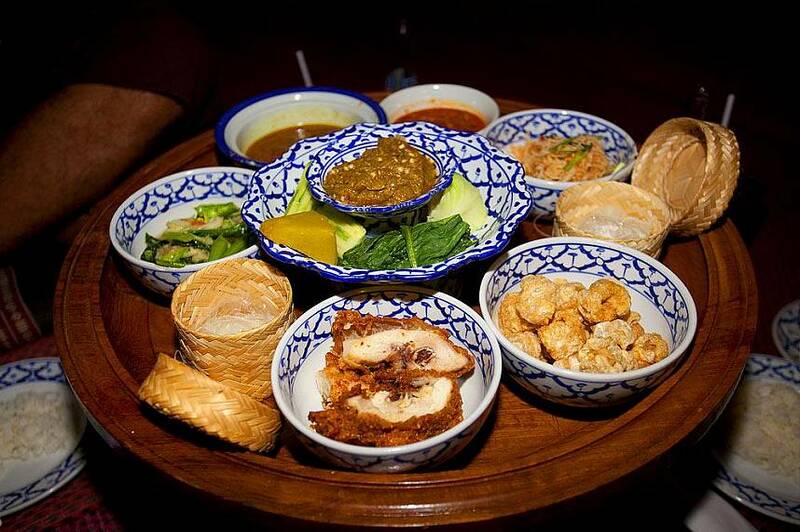 The food consisted of Northern Thai cuisine which included gai tod (fried chicken), nam prik ong (tomato, chili and minced pork dip), gaeng hung-lay (Burmese pork curry), paad pugg (fried cabbage), and keb moo (fried pork rinds). Served in small dishes, I was apprehensive about the food actually filling us all until I realized the staff would constantly top-up the dishes once empty. The taste and quality of the fare was nothing short of delicious. 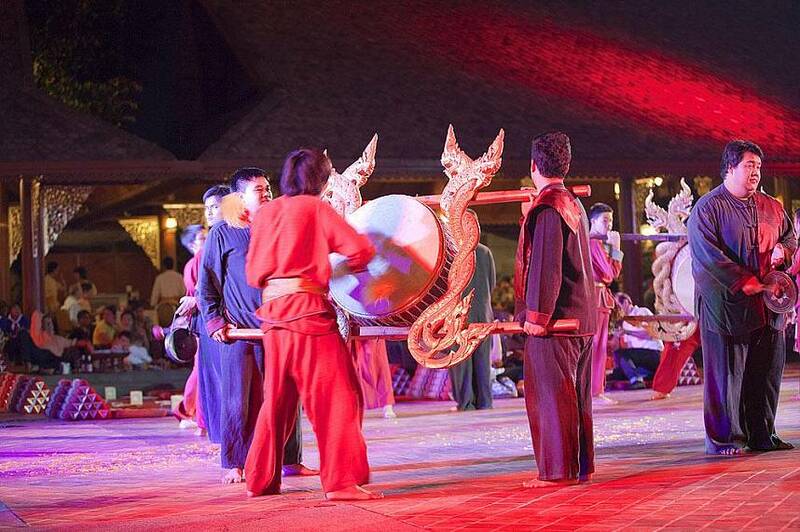 After an hour of feasting, the traditional dance shows begin with the accompaniment of a traditional Thai classic orchestra. For the next hour or two, you are entertained by a selection of hypnotic music and famous old Thai dances such as the fon lap (Thai finger dance), fon thiean (Thai Candle Dance), ram dab(Thai Sword Dance) and then for the grand finale, you are invited to join the beautiful performers for the rum wong (Group Dance). The mixture of the music and the sublime movements of the Thai dancers come together to create a special vibe, which is easy to get carried away on. 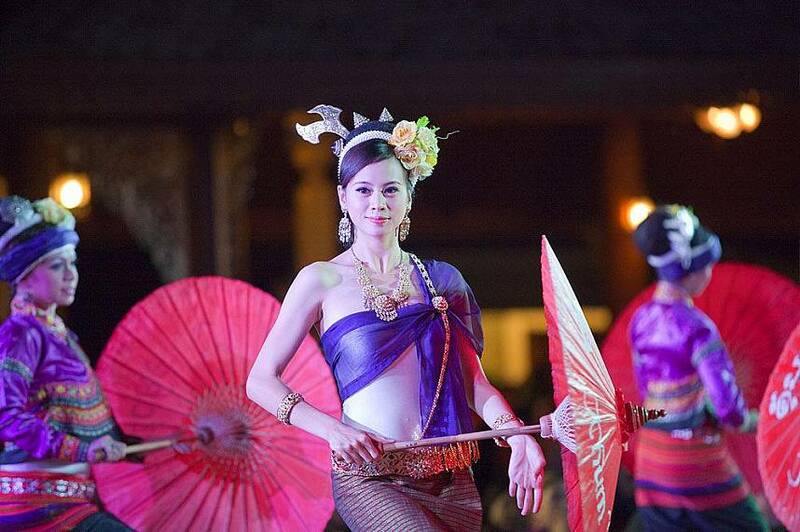 At the end of the evening, you feel more of a link and understanding of the Lanna culture than ever before. Visiting Chiang Mai and not going for a Khantoke meal would be like going to England without visiting London, it really is that essential for your trip. 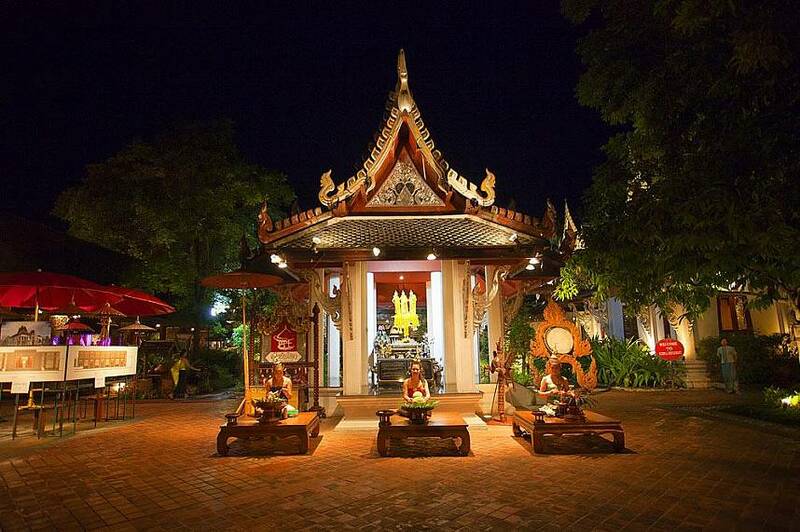 19:00 hours: The doors of the Chiang Mai Cultural Center open. 19:30 hours:The dinner commences with the typical Northern Thai manner of welcoming important guests. 20:00 hours: While you are still enjoying your dinner, the entertainment will commence. With a collection of Northern Classical Dance routines from a fully costumed cast. This is when the fun really starts. 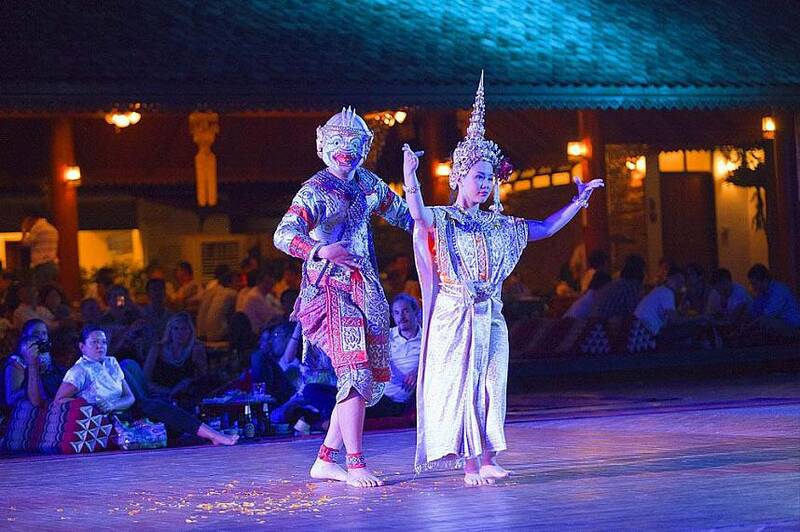 21.00 hours:You are invited to take part in the dance of Rum-Wong, a famous Traditional Dance in Thailand.